Bristol Beaufighter of No.600 Squadron in action on the night of the 11/12th July 1942. The Dornier Do.217 crashed 70 miles S.E. of Predannack, Cornwall. 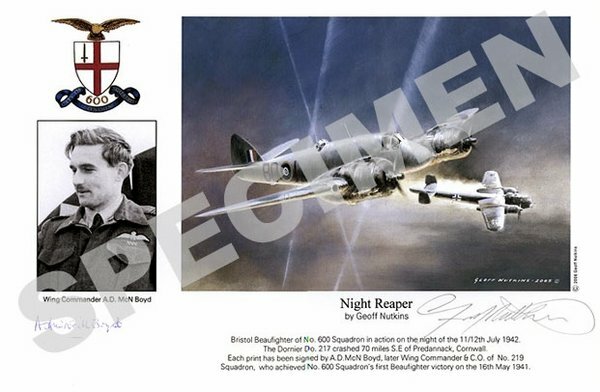 Each print has been signed by A.D.McN.Boyd, later Wing Commander and C.O. of No.219 Squadron, who achieved No.600 Squadron's first Beaufighter victory on the 16th May 1941.